People are constantly asking me where I go in Vegas, especially after living there for three years. They tell me that they want to do a few things off The Strip. They want something a little bit….different. Here are my favorite Museums in the Las Vegas area, but off the strip. The Mob ran the city for a long period of time and to hear some people tell it, it was when Vegas was at its best. 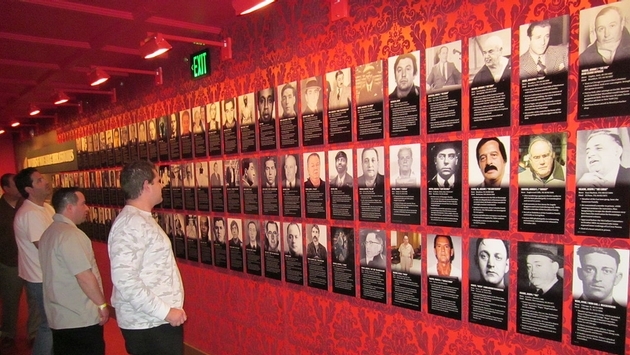 Now there is a museum dedicated to that time period, The Mob Museum: The National Museum of Organized Crime and Law Enforcement. Located in the former Federal Building downtown, the museum covers everything Mob related: The Legacy, the people who brought them down, memories and myths and even a timeline of cheating in Las Vegas from the 1950s through today. There are constantly Mob-related events taking place and of course tours are available, both self-guided and docent-guided. If you stay moving North on the Strip – way North, you will eventually run into Old Town and then go under the highway and into North Las Vegas. Just a bit north of the overpass is where you will find a hidden gem called the Neon Museum and Boneyard. Hours-long guided tours are the only way to get to see the Boneyard, so jump online to make your reservation and hurry, because they sell out fast. Located about a mile behind Bally’s on Flamingo Rd., The NATM “showcases its collection of more than 12,000 unique artifacts in educational and inspiring exhibits” all having to do with the history of the Atomic Bomb. They cover the development of the weapon, underground and atmospheric testing, radiation and even the culture surrounding the Atomic Age. They even have a way for you to experience it yourself in their Atomic Bomb Blast Simulator (Totally frickin’ awesome - I’m just saying). BONUS: Right now their temporary exhibit is on Area 51. This is the first exhibit designed with help from actual workers from Groom Lake. This is my go-to suggestion for anyone who ever asks me, “What else is there for me to do in Las Vegas away from the Strip?” The Pinball Hall of Fame and Museum is located on Tropicana Blvd. about a mile behind the MGM Grand. It is not just a whole slew of old school pinball games, it is an opportunity to play all of those games as well. Every game that they have is playable and it is at the cost of the machine when it debuted. So if you played Fun House at $0.25 in high school, it is still just $0.25. They also have some old school video games, a popcorn machine and more. This is great cheap date night and you don’t have to worry about the machines stealing all of your hard-earned cash like you do in the casino. They are open from 11 a.m. to 11 p.m. and the owner, Tim Arnold, donates all profits to the Salvation Army. It doesn’t get any better than that. There is a virtual tour on Google, where you can check out all the machines to find your favorite here. 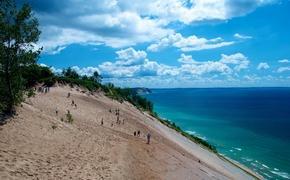 I know it isn’t a museum, it is technically a National Conservation Area, but it is so worth mentioning. No one knows that about a 30 minute drive from the strip there is 195,819 acres of beautiful natural Mojave Dessert Habit for the viewing and enjoying. The area has breathtaking views and includes “a 13-mile scenic drive, more than 30 miles of hiking trails, rock climbing, horseback riding, mountain biking, road biking, picnic areas, nature observing and visitor center with exhibit rooms and a book store.” This was and still is a favorite place of mine to bring the dog and have lunch to just get away from the madness of the city. There you have it: a bunch of totally rocking places to visit away from The Strip. Now you can keep yourself occupied after you lost your savings in the casino.